Suitable for: Gas, Induction, Oven, Vitroceramic and Electric Hobs. 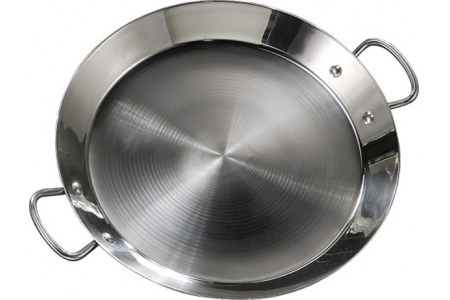 This stainless steel paella pan has been designed to be used with induction or vitroceramic hobs. 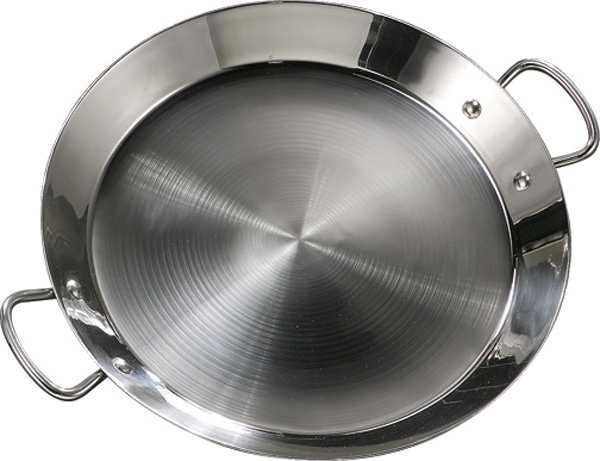 Its “sandwich” bottom and heavy metal plate ensures a long life for the paella pan (it will not warp with use), and distributes heat evenly which helps avoid the food getting burned or stuck to the paella pan. They are highly responsive to sudden temperature changes. Clean with soap and water before its first use. Immediately after using it, fill it with water. Later on, it will be much easier for your to clean it. Do not use bleach to clean it off.